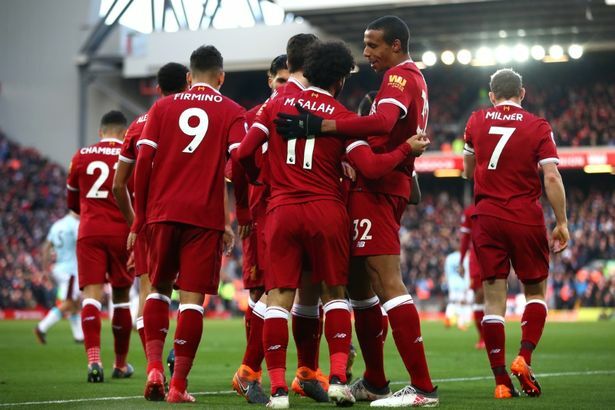 Liverpool thrashed West Ham 4-1 on Saturday, to move into second place in the Premier League. The Reds led at the break, thanks to an Emre Can header. In the second half, they went on a rampage, ripping the Hammers open at will. 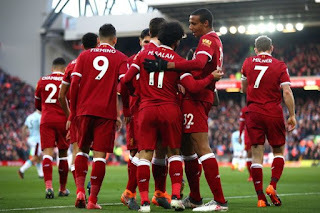 Mohammed Salah, Roberto Firmino and Sadio Mane added more goals, before Michail Antonio grabbed a late consolation. Liverpool now have 57 points, one more than Manchester United in third place. Jose Mourinho’s men host Chelsea on Super Sunday. In the other Saturday matches, West Brom lost 2-1 at home to Huddersfield Town, Newcastle drew 2-2 with Bournemouth, Brighton hammered Swansea 4-1 and Burnley drew 1-1 with Southampton.